New Delhi, Nov 30: The Supreme Court on Wednesday sought response from the BCCI and its treasurer Anirudh Chaudhry on allegations that he had threatened the cricket board's Chief Financial Officer (CFO) Santosh Rangnekar on three occasions, including with threat of "liquidation" on one occasion. Chief Justice Dipak Misra, Justice A.M. Khanwilkar and Justice D.Y. 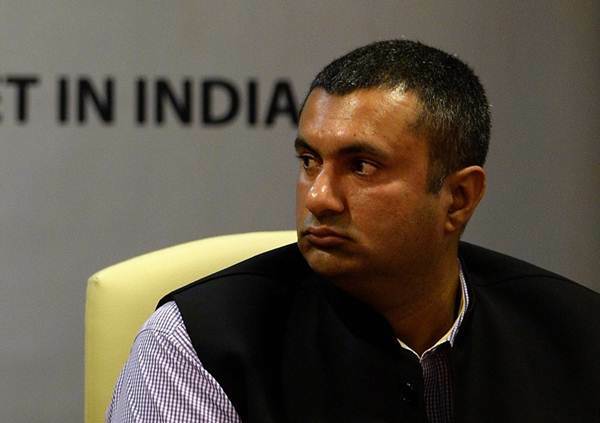 Chandrachud sought the response after amicus curiae Gopal Subramanium produced an e-mail by the CFO to Vinod Rai -- head of the Committee of Administrators (CoA) managing the cricket affairs -- on the directions of the top court. Rai is former Comptroller and Auditor General of India. Subramanium said Chaudhry had told Rangnekar that had he been in Haryana, he would have been "liquidated" by now. Telling the three-judge bench that he has received a letter from the lawyer representing the CoA, Subramanium said, "It is shocking, no person has any authority in the world to administer threats to liquidate the CFO. The treasurer has allegedly done so." Before joining the BCCI as CFO, Rangnekar worked with top corporates. The court gave two weeks time to BCCI and Chaudhry to respond to the complaint by Rangnekar. Expressing shock at the turn of the events, Chaudhry, speaking to reporters outside the court after the hearing of the matter, said this could be a fallout of his views on certain issues, including financial transactions "which were not palatable" to the CFO. Directing the listing of the matter in the second week of January, the court asked the BCCI to submit its comments on the draft constitution submitted by the CoA on the last hearing. The court directed the CoA to file a chart on the next date of hearing reflecting the comments and suggestions on he draft constitution by the BCCI and its affiliates. The CoA has prepared the draft constitution of the BCCI on the lines of the recommendation of the Lodha Committee and the July 24, 2017 order and incorporated suggestions from all the stake holders. The top court by its July 24 order had agreed to re-examine the one state-one vote principle, the strength and composition of the selection committee and the status of associate members including Railways, tri-services and the Association of India Universities. The Supreme Court on September 21 had directed the BCCI and its state affiliates to submit their suggestions on the draft constitution prepared by the CoA -- managing cricket affairs in the country -- incorporating organisational reforms as directed by the top court. The top court by its August 23 order had said that the draft constitution would be based on its directions of July 18, 2016 and its order of July 24, 2017. The top court by its July 18, 2016 order had endorsed the Justice R.M. Lodha Committee recommendations and issued them as its directions. The apex court had said on September 21 that there would be no need for convening the General Body Meeting (GBM) of the BCCI to consider the draft constitution as it would be decided by the top court.